We have been honoured to represent Romania at the EFBLU's second European championship for corporate teams as champions of Liga Companiilor – a league with a 10-year history and rich traditions. Even if it was played under different playing conditions than the ones we are used to, EFBLU European Cup 2 was a very useful experience from a sporting, touristic and social point of view. We would like to continue performing well domestically and participate in the EFBLU tournaments in Europe as many times as possible. As the captain of the PKO Bank Polski team I would like to recommend participating in every EFBLU European tournament. We played in Cracow (Poland) and in Riga (Latvia) – it was a great time, perfect organization, everything was performed at an international level. It was a pleasure for us to meet different teams from many countries and we hope to see each other in future. Our team always demonstrates very good team spirit and we, PKO Bank Polski, make progress – in 2017 we were 5th, in 2018 we finished in 4th place. I am quite sure that we will take part in the next cup and for sure we recommend joining EFBLU to all teams and business leagues. Participating in the first EFBLU European Cup tournament in Kraków was a great experience for Clube Portugal Telecom. The tournament organization were excellent! Team presentation meeting with tournament rule clarifications, the quality of the Football complex, well planed games schedule with a balanced distribution of playing and rest times, transportation and meals logistic… all tournament details have been prepared with a high level of professionalism! We should also commend the high competitively level of all teams and the fair play evidenced by all. It was a pleasure to participate in this international tournament, to had the opportunity to play with teams from other countries and also to visit the beautiful Kraków City! 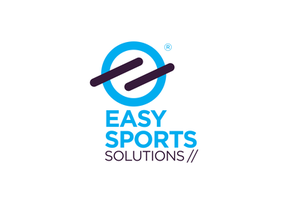 I highly recommend all European Business Leagues organizers to participate in the future tournaments. As the captain of the winning team at the (first ever!) EFBLU European Championship I have to say that Krakow will always have a special place in my heart. Although we won the Slovenian Business Football League we did not know what to expect from the European tournament. All teams looked very strong so we entered the competition quite carefully. Thank you, EFBLU, for this great opportunity! Our participation in the first European Championship (EFBLU European Cup 1) organized by EFBLU will be mainly remembered with many pleasant emotions and unforgettable moments. The organization was on a pretty high level and I would like to congratulate Mr Pawel Dimow for his efforts. The football complex which hosted the tournament was fantastic – pitches, dressing rooms and an air dome with a pleasant temperature for playing. I was also impressed by the little things prepared by the organizers – separate dressing room for every team, package with food and drink for every player, music, speaker and score table. Participating teams definitely showed very good football and desire to win. It was obvious that they play on this type of pitches regularly and feel comfortable on them. 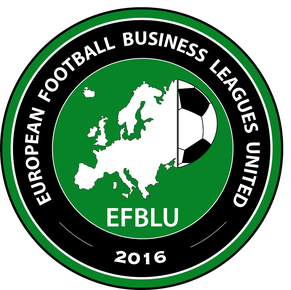 As organizers of football competitions for companies based in the city of Rzeszów and its vicinity, we are very positive about the new EFBLU project which aims to bring together football business leagues from all over Europe. Now the teams in our league will be more motivated because good performances will give them chances to show their skills to a wider audience. Furthermore, EFBLU gives the teams opportunities to test themselves against teams from other leagues, which will have a positive direct impact on the development of all participating teams. Being a member of the European Football Business Leagues United will raise the reputation of our league and will encourage more teams to join our competitions. We recommend joining EFBLU to all organizers of football business leagues. We, the Business League of Macedonia, welcome the establishment of the European Football Business Leagues United and believe in the positive impact it will have on the development of corporate football in Europe. Having similar aims and values, we are looking forward to building a partnership and collaborating on joint projects with EFBLU and its member organizations. 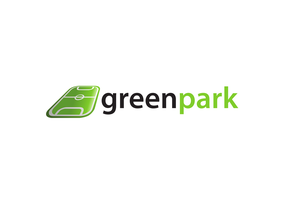 Such a collaboration between the organizers of football competitions for corporate teams should bring more benefits to the most important stakeholders - the corporate football players.